On Friday I left early to go to Amarillo because Amayah was having surgery. Although it was minor for her, Papa wanted to be there. Everything went well and she loves all the attention she has been getting! Then I came back to Pampa, picked Vicki up and we headed off to OKC to see her Dad. He is doing so much better at this time. Now has a trach and is breathing on his own at times. He wanted a cup of coffee and to go home. It’s still a ways off but he is better! We drove down to Norman and spent the night with Candice and the kids. 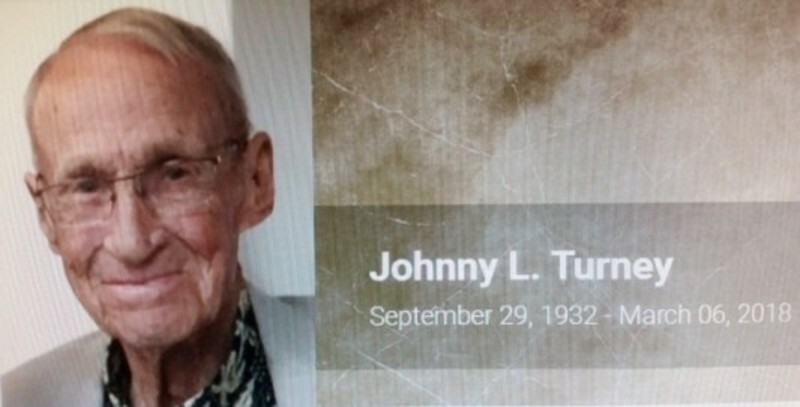 Got up the next morning and headed back to the hospital before leaving for Wakita to see my Mom and go to the funeral of my high school basketball coach, Johnny Turney. Coach impacted many lives across the state down through the years. One of them even spoke at his service. It brought back a lot of memories for me. There was one thing that wasn’t said that I believe should have been. It happened in the early part of 1971. We had just lost our conference tournament. Even though we had a really good team we couldn’t get things together. I know he had to be frustrated. In fact the next week he showed it. He didn’t come to practice. We didn’t know what was going on, so we asked the assistant. He told us that Coach had gone home and if we wanted to know, go see him. So, several of us went to his house. He was just sitting in a chair in the front room. We asked what was going on. He said. “I’ve taught you what you need to know to win, but until you are ready to do what you are told, I’ve done all I can do.” It caught us off guard but after thinking about it, we understood what he was saying. You see, we had what we needed to be winning instead of losing. We went back and told him we were ready to move forward. We ended up winning the remaining 12 games of that season and were the state champions that year. We knew what we needed to do to win and we did it. As I walked away from the service, I realized Coach had taught us a lesson that was applicable in all of life, but truly in our spiritual lives. It was a lesson that we applied in 1971 and needs to be applied even today. Christ has shown us all we need to do to be ‘winners’ in this life. It is by accepting all that He has done for us and turning from the sin in our lives. It is then that we will be able to ‘win’ at this game we call life. Then we will be able to lay hold of that ‘crown of life’ (James 1:12). He has done it all for us, we must accept His great love to be the ‘winners’ He wants us to be. Have you accepted His great love? Have you trusted Christ as your Savior? He is waiting for you to come to Him.